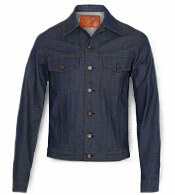 A denim jacket is a timeless piece of outerwear every man should own. 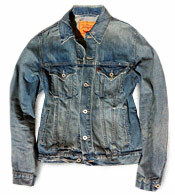 Worn over the decades by preps and rebels and everyone in between, it transcends trends and time itself. 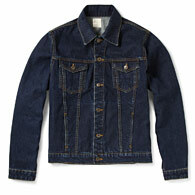 But lately, we've noticed stylish gents are wearing the jean jacket not as outerwear, but as a layering piece. During the recent collections in New York, we noticed it off the runways—editors and buyers paired the jackets under blazers, Barbours and even suit coats—as captured here by photographer Liam Goslett. It's a smart move, especially as we head into climates that aren't necessitating a rigorous winter kit. 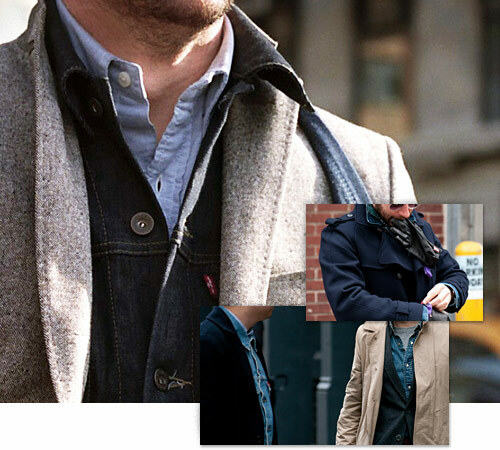 Layering a denim jacket under your trench or blazer will provide a little insulation and some rugged style, but can easily be removed should things warm up. 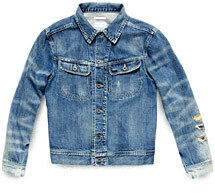 And if you don't own a denim jacket yet, here are some of the best out there right now.